Here is a selected and annotated bibliography I recently completed for a course I am taking on Spiritual Formation. Thought it might be a helpful resource for your own spiritual development. Chan, Simon. Spiritual Theology: A Systematic Study of the Christian Life. Downers Grove: Intervarsity, 1998. Explores systematic Christian theology in relation to spiritual growth and formation. With emphasis on the theology and life of prayer, this book focuses on spiritual practices for engaging God, the self, the Scriptures and the world. It also gives special attention to developing a “rule of life,” the discernment of spirits and the role of spiritual direction. This work is historically and theologically informed by a broad spectrum of Christian traditions. Ford, Marcia. Traditions of the Ancients: Vintage Faith Practices for the 21st Century. Nashville: Broadman and Holman, 2006. This book gathers an assortment of Christian disciplines and practices from the wide-ranging traditions of the Church and adapts them for use today. It explores the value of many spiritual practices less known to Evangelicals, such as sacred reading, manual labor, pilgrimage, night watches, fixed-hour prayer, the prayer of examen and the Jesus prayer. Foster, Richard. 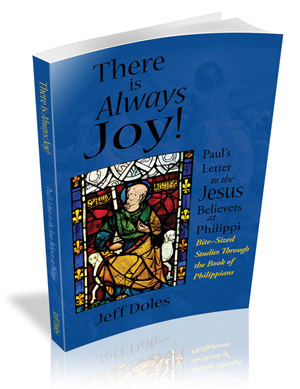 “A Life Formed in the Spirit.” Interview by Mark Galli. Christianity Today, September 17, 2008. Richard Foster is one of the early proponents of the recent revival of the practice of “spiritual disciplines.” Beginning with his conversion to Christ, he discusses how his life has been formed spiritually. He also talks about how, as a young Quaker pastor, his own spiritual formation shaped his ministry. In particular, he notes how he began to take much more seriously the “soul growth” of his parishioners through the means of the spiritual disciplines he later wrote about in Celebration of Discipline. Foster, Richard J. Streams of Living Water: Celebrating the Great Traditions of the Christian Faith. San Francisco: HarperCollins, 1998. Foster discusses six different aspects to spiritual formation he finds embodied in Church tradition: contemplative, holiness, charismatic, social justice, evangelical and sacramental spiritualities. These are the different ways Christians have followed Christ. Historically informed, this book includes a helpful appendix of key figures and movements representative of these various streams. Howard, Evan. “Three Temptations of Spiritual Formation.” Christianity Today, December 9, 2002. 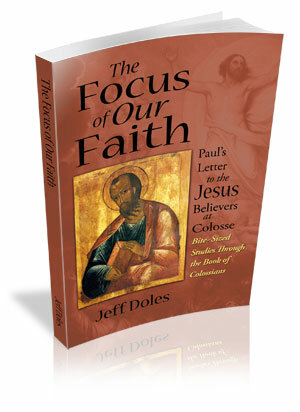 Addresses the Mainline, Evangelical and Pentecostal churches on the necessary components of Christian spiritual formation: It must be Christian, i.e., Christ-centered and not just religious. It must be spiritual, i.e., dependent on the Holy Spirit and not just on the Scriptures. It must be formation, i.e., the manifestation of Christ-like character and not just experiences. Keener, Craig S. Gift and Giver: The Holy Spirit for Today. Grand Rapids: Baker, 2001. A study of how the Holy Spirit ministers to believers. It includes a discussion of the Spirit’s role in salvation, what the baptism of the Spirit is and when it occurs, how to recognize the voice of the Spirit and how the Spirit empowers us for evangelism. It also describes the spiritual gifts, their purpose and how they function. The final chapter (apart from the conclusion) emphasizes the importance of exercising spiritual discernment. Smith, James K. A. “Teaching a Calvinist to Dance.” Christianity Today, May 16, 2008. Tickle, Phyllis. “Blowing Holes in Spiritual Formation.” Interview by Leadership Journal (n.d.). Tickle discusses the incorporation of ancient spiritual disciplines into the life of modern churches. She finds this movement to be popular with the under-40 generation, as sees it as being post-Reformational as well as well as post-Enlightenment and post-denominational. She believes it is part of a new Reformation currently in progress. Webber, Robert E. The Divine Embrace: Recovering the Passionate Spiritual Life. Grand Rapids: Baker, 2006. A book on relational spirituality, the “divine embrace” between God and man. The first part discusses how Christian spirituality needs to be rescued from Platonic dualism, medieval mysticism, intellectualism, experientialism, legalism, romanticism, New Age philosophy and Eastern religions. The second part focuses on God’s story, how He reached out in love, how man comes into His saving embrace, how His life in us produces love for others and how our life in Him results in obedience. Willard, Dallas. “Spiritual Formation in Christ: A Perspective on What it is and How it Might be Done.” Journal of Psychology and Theology 28, no. 4 (January 1, 2000): 254. Discusses the nature, purpose and means of spiritual formation, which requires psychological as well as a theological understanding of the spiritual life. Recognizes that spiritual disciplines are effective for Christian formation in the human spirit, but only because one is formed by the Holy Spirit. Emphasizes that “the tree is known by its fruit,” and the fruit of Christian formation is obedience to Christ.